To become a member, contact us for details about how to take advantage of the Sonoma Valley Visitors Bureau resources. 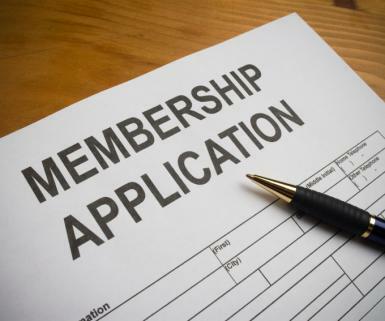 Download the membership benefits document and the application. 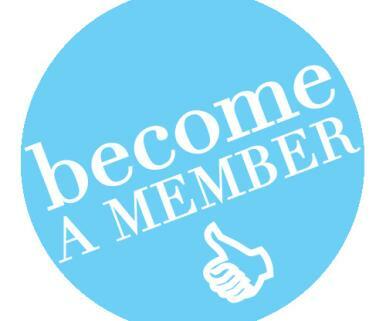 Why become a member? If you want to promote your business to Sonoma Valley’s visitors and locals, you’ll find tremendous benefit in membership with Sonoma Valley Visitors Bureau (SVVB). We at the SVVB are proud to serve as the premier advocate for our beloved Sonoma Valley! From increasing local tourism through unique marketing initiatives to ensuring visitors enjoy a remarkable experience during their stay, the Visitors Bureau is the trusted and gracious hostess of Sonoma Valley. The SVVB provides members with direct access to four important business markets: local companies; leisure travelers; travel and trade; and conventions and meetings. You’ll enjoy unique marketing campaigns that will promote your business year round. The result is a positive economic impact upon Sonoma and ultimately, you! Think of joining as a way to maximize your marketing efforts, with the entire SVVB team promoting your business daily. Exclusive membership opportunities help give you a competitive edge. You can choose to participate in promotional activities and programs that help expand your reach to your target markets. Guided by unparalleled customer service and the passionate expertise of 50+ local volunteers, the Sonoma Valley Visitors Bureau operates two comprehensive, knowledgeable Visitor Centers seven days a week. Outfitted with the most up-to-date information, resources and maps, we steer visitors toward the essential landmarks, events, tours, products, accommodations and establishments that define our Sonoma culture—including your business! 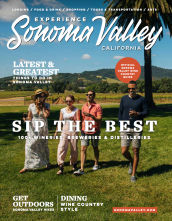 You will have the chance to advertise in both SVVB publications and on sonomavalley.com as well as participate in seasonal promotional programs. Our membership stands at 350 and counting. Together, we’re putting Sonoma’s best foot forward. We can’t wait to work with you and for you! To enhance the economic viability of our members and promote Sonoma Valley as a visitor destination. The Bureau was established in 1984 for the purpose of providing information to visitors and vacationers and to promote the hospitality industry in the Valley. The SVVB is governed by a Board of Directors elected from and by the membership of over 350 member businesses. The eleven member Board includes a five member Executive Committee. The programs and policies of the SVVB are approved by the Board of Directors and carried out by a full time professional staff reporting to the Bureau’s Executive Director. The Sonoma Valley Visitors Bureau (SVVB) is grateful for the strategic partnerships that have been fostered to further the mission and vision of our organization. Support from the Sonoma Tourism Improvement District (TID), City of Sonoma, Sonoma County, and Sonoma County Economic Development Board (EDB) allow the SVVB to offer services for our members, bureau operations and marketing campaigns. These strategic partnerships enable the SVVB to continue to deliver an excellent level of visitor satisfaction, while maintaining a strong brand presence in our target and feeder markets that continue to impact the economic vitality of Sonoma Valley. In 2018, the SVVB has also enhanced destination partnerships with key organizations including Brand USA, Destination Marketing Association International (DMAI), US Travel Association, Visit California, Cal Travel, San Francisco Travel, Hotel Council of San Francisco, Sonoma County Tourism, Sonoma Valley Vintners and Growers Alliance, Sonoma Valley Chamber of Commerce and Visit Napa Valley. Our strategic marketing partners include JNS Next Creative & Media Hub, Simpleview, Madden Media, B Public Relations and TripAdvisor. Through extensive public relations efforts including proactive outreach, press releases, FAM tours, media visits, and responding to inquiries, Sonoma Valley was top of mind to press from around the globe. This resulted in over 1.8 billion impressions in top tier publications with a media value of over $60 million. 87,000 active and engaged audience across key platforms. Strategic placement of Sonoma Valley branding and messaging in a variety of outlets reaching top visitor markets. Active pitching of your business and hosting journalists of travel and trade media from all over the world.